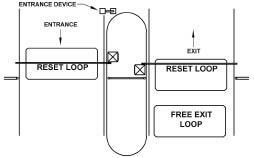 Loop detector are used with Parking Lot Gate Opener to detect the vehicle as either a Free Exit Loop, reset loop, or a safety look. To install cut the concrete and lay the wire in and then run the wire back to the operator and then caulk over the wire. If you need further assistance call our sales department at 800.878.7829 between the hours of 8:00 AM - 5:00 PM EST. or e-mail us at sales@fence-it.com. Caution: Barrier gates are not for pedestrians! 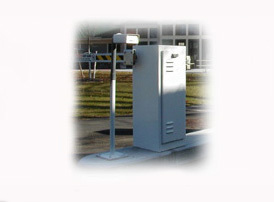 Automatic gate operators are designed for vehicular traffic only.Tthey are powerful and can cause serious injury or death. Accordingly, direct all pedestrian traffic to a separate pedestrian gate. UL325 requires the use of contact or non-contact anti-entrapment devices. ASTM F2200 requires that all exposed rollers are covered.